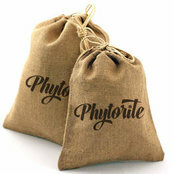 Phytorite is an online, trusted resource for hemp supplements, products and information. Typisk jobbkostnad:74 USD - 144 USDWe offer different potency options for you furry loved ones. For health maintenance and general well being our 600 formulation should be fine. Our 18 year old Beagle, Maghee is able to go for walks and use the stairs again on 8-10 drops twice a day.